Therefore (and because I'm kind of a movie geek ;) ) we decided to dedicate this week to this upcoming event and to movies in general. I don't know whether or not it's a little embarrassing for a 27-year old person to admit this but I LOVE (love, love!) 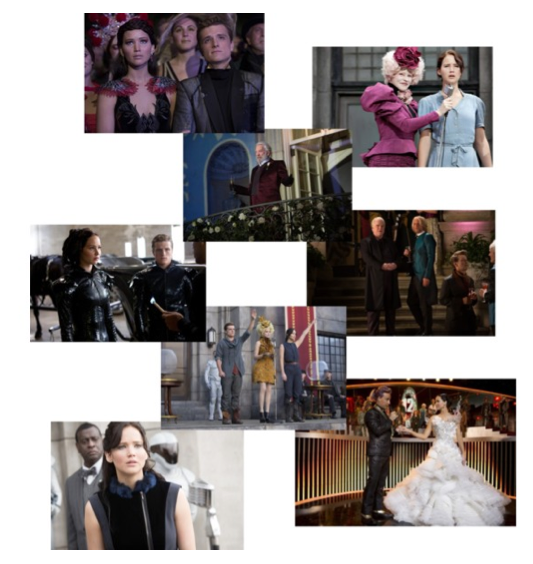 "The Hunger Games". Not only did I read all the books twice, I also watched every of the movies at least three times. And I really do love what Judianna Makovsky (The Hunger Games), who also designed the costumes for "Harry Potter and the Philosopher's Stone", and Trish Summerville (The Hunger Games: Catching Fire) did with the costumes there! I think that especially the crazy costumes of the "The Capitol"'s inhabitants perfectly illustrate the decadent lifestyle they are living there and that these costumes form a nice contrast to the rather simple (and partly retro-looking) outfits the two ladies came up with for the people living in the outer districts. By the way am I apparently not the only person who fell in love with "The Hunger Games"'s outfits as when the second movie came out the online retailer NET-A-PORTER even launched a whole line by Trish Summerville inspired by her Hunger Games costumes. One of my all-time favourite movies is "Breakfast at Tiffany's" with beautiful Audrey Hepburn. I honestly think that there couldn't have been a more elegant lady out there and I really like the character of Holly Gollightly she embodies in this film. Most of Audrey Hepburn's costumes in "Breakfast at Tiffany's" were designed by French fashion designer Hubert de Givenchy who also dressed women like Jacqueline Kennedy. 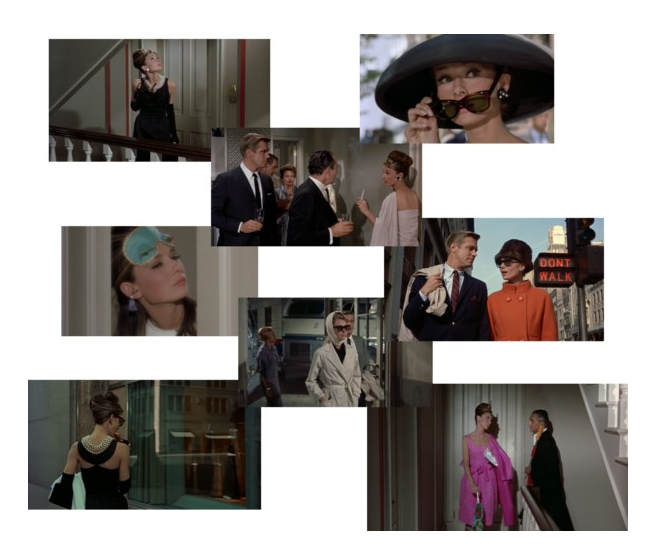 Costume supervisor for "Breakfast at Tiffany's" was the famous Edith Head, who was like THE costume designer of her times and made the costumes for (according to IMDb) 439 (!!) film productions. 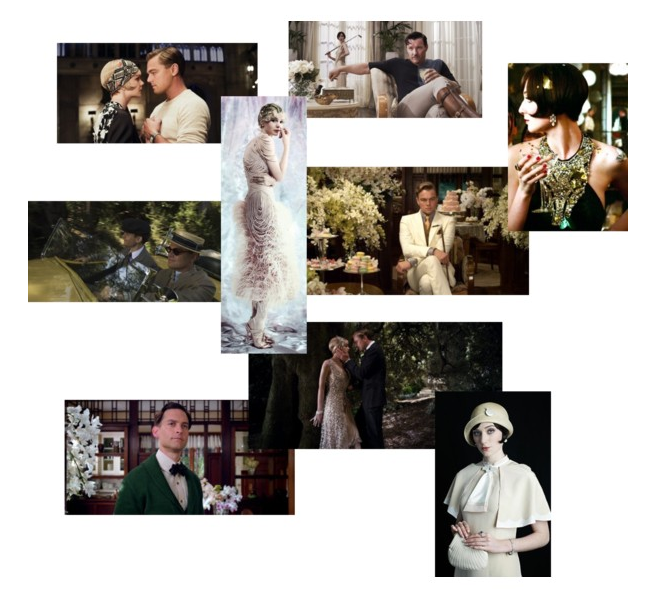 Another movie with a great costume design is in my opinion "The Great Gatsby" film version of last year. All these beautiful 1920s dresses in this totally over the top, colourful, glamorous staging by Baz Luhrmann. Loving it! The costume design is from Catherine Martin, who is also known for her work on Moulin Rouge and Australia. As you have probably already noticed, I am a great fan of vintage clothing. 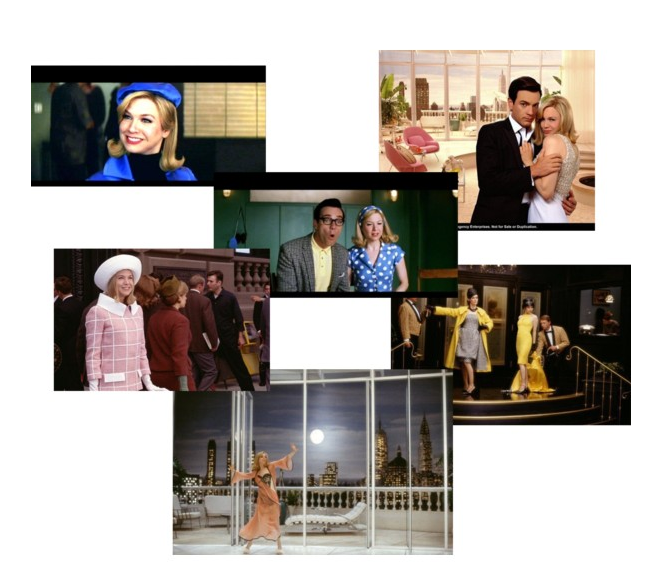 Therefore it's no big surprise that I am really into the costume design of "Down with love", a very cute, funny and slightly modernised (especially regarding the perception of women - luckily there have been changes since the 1950s) sort of remake of the Doris Day movie "Pillow Talk" from 1959. The costumes were designed by Daniel Orlandi. For me "The Fifth Element" is a modern, 1990s, childhood film classic. ;) I've probably seen it already ten times (at least) and somehow I always have to watch it again when it's broadcasted on TV. Furthermore I am really into the futuristic costumes by (watch it!) Monsieur Jean-Paul Gaultier himself. My favourites are (of course) the outfits of Chris Tucker (Ruby Rhod) and I really wouldn't mind looking like THAT (see below) if I was basically only wearing some thicker stripes of tape on my body like Mila Jovovich in her first scene in the movie. What are your favourite movie costumes?